All groups are welcome on Saturdays from 7:00-9:00am. Come Row with the Mid-AM Group! Drop the kids off at school and then get to the boathouse to join the Mid-AM for your time to "zone" on the water. 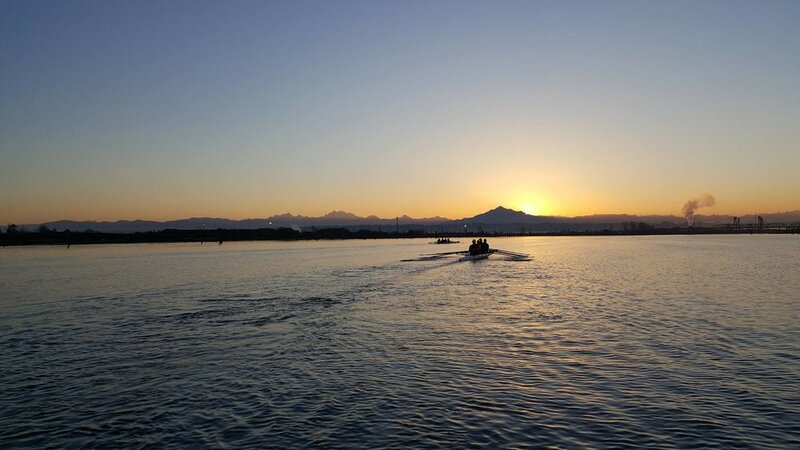 Always a bustling group with busy schedules, this time-slot allows you to have long weekends and still enjoy fitness, camaraderie and a new sport on the water. This group is coached by Noah Langstraat. USRowing Waivers are necessary: For club/recreational/novice team rowing, please sign a hard-copy of the USRowing Waiver (see Forms & Policies under About Us). For competitive rowers that wish to race, please sign an electronic waiver (see Forms & Policies under About Us). Everett Rowing club code for the electronic waiver is: V9HNW.